Cable’s See My Art, Inc. Aims to Bring Art and Culture to Para-Athletes. During the 2015 International Paralympic Nordic Skiing World Championships. See My Art, Inc. (SMART) will host multiple venues for athletes to engage in culturally and geographically meaningful artistic activities. Read press release. The Doors! Live at the Rivers Eatery. See the 5 IPC SMART Commemorative Doors on Saturday June 27th from 3 p.m. to 5 p.m. at the Rivers Eatery in Cable. Support SMART through your purchase of Great food and beverages donated by The Rivers Eatery. Thanks again, Mick, Beth, Carley, and Libby! Live Music by Valerie Carr and Jeanie Marie. 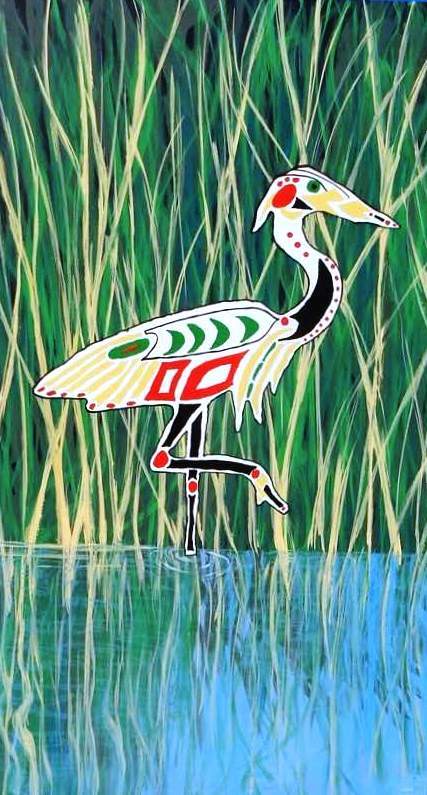 Stroll The Rivers Eatery Gallery for the perfect piece of art and meet the artists! Smart hosts 30 – 40 artists in the Cable Recreation Park for a day filled with creativity as the artists create individual works of art to be displayed and sold at the Rivers Eatery Gallery in Cable. It is a fun day for all with a picnic lunch. Smart encourages any person interested to attend. Enjoy watching artists work while browsing the art in the Rivers Eatery Gallery and on display with the artists in the courtyard. Have your questions answered by the Smart Board, enjoy music, pizza, and a beverage with all net proceeds donated to Smart. Smart has a booth with members of the Smart Board on hand to answer your questions. Artists are there working and their art is for sale. It is a perfect time to learn more about SMART and see how you may help. 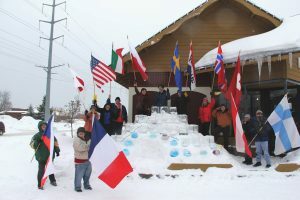 Build an ice sculpture with our artists outside the Birkie office in Hayward, WI in conjunction with the Birkie week events. We welcome and are grateful for volunteers at any of our SMART events. Please see our Volunteer Page for more information.